Flora Sinus is the new breakthrough formula to help relieve from difficult sinus congestion and pressure. It is a combination from four powerful probiotics with the precise sinus support of N-Acetyl Cysteine (NAC) to deliver brand new nasal, sinus and bronchial health. This formula contains all clinically studied ingredients to offer a dual-action solution by promoting nasal comfort and overall health. Flora Sinus includes one of the most potent sinus support and a powerful antioxidant known as N-Acetyl Cysteine (NAC). This is a kind of amino acid that is extensively famous for both supporting immune health and also as a natural support for thinning mucus. Once the thin mucus starts flowing naturally it will flush out all harmful irritants giving relief. In addition, Flora Sinus also contains four probiotics such as Bifodobacterium bifidum, Lactobacillus rhamnosus, Lactobacillus acidophilus, and Streptococcus thermophilus, inspired by pioneering research conducted in Switzerland. This clinical study found that these four specific probiotics when taken orally could help assist a healthy immune response in the nasal mucus. Flora Sinus help to relieve from difficult sinus congestion and pressure. It improve flow and flush out of mucus and other unhealthy irritants from nasal. Flora Sinus includes one of the most potent sinus support and a powerful antioxidant known as N-Acetyl Cysteine (NAC). Flora Sinus helps relieves Sinus Congestion Issues depending on landmark study conducted in Switzerland. This landmark 2003 study by Swiss researchers Ulrich Gluck and Jan-Olaf Gebbers demonstrated that probiotics’ support a healthy balance of friendly bacteria in the nose while also reduces harmful irritants. 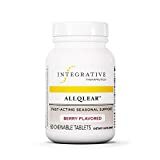 The study result is that the ingestion of probiotics may improve the immune barrier of the upper respiratory tract and so represents a clinically preventive therapy. The maker of Flora Sinus, Nutri-Health was inspired by the Swiss study and begins development of a probiotic supplement to support sinus health. Experts of Nutri-Health moved one step further on and determined that an additional ingredient, N-Acetyl Cysteine (NAC), would be the perfect balance to the four targeted probiotics. NAC is a natural amino acid and unique antioxidant that works to split up sticky, heavy mucus, increasing the flow of healthy mucus and supporting nasal and upper respiratory health. The dosage in Adults: 3 capsules in a day, if possible take the suggested dose separately. This dosage can also be increased to double, if needed. The four probiotics and a unique antioxidant N-Acetyl Cysteine (NAC) work towards benefitting the sinus health. The clinical study in the year 2003 by Swiss researchers found that a blend of four specific probiotic strains can support a healthy balance of friendly bacteria in the nose. Keeping this groundbreaking study at the base, the scientists at Nutri-Health had formulate its probiotic formula today popular as Flora Sinus Seasonal Support. Flora Sinus is one of the bestseller and customer favorites that feature a unique antioxidant known as N-Acetyl Cysteine (NAC). In laboratory studies NAC had shown to dissolve mucus when in contact and help break up thick, stubborn, sticky mucus as well as four probiotics to assist in daily sinus health. There are simply no known side effects of Flora sinus. This is mostly because of the strict specifications for each ingredients in this product. Also, the ingredients are 100 percent natural vegetarian content offering you safe supplement to relieve hard to remove sinus mucus. Flora Sinus contains safe ingredients to have no known negative side effects. Most of the Flora Sinus Nutri-Health Reviews are positive and the users felt relief from sinus infection and other nasal irritants. 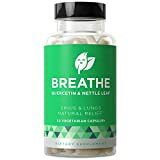 This product works well for many users to drain congestion from sinus. Many customer reviews states that they had been using the product for years as they found only product to work for them. It worked effectively in removing the bacteria and fungus build up in the sinuses. Users found it to work for sneezing problem with itchy nose and eyes due to fungus and bacteria in sinuses. Flora Sinus will take around a week or two to build up in your system before you notice any changes in the condition. Many users found Flora Sinus to work much successfully over other products. People have tried and tested several products when they ended up with this and the result really amazed them. However, it took 2-3 weeks to feel any difference in sinus from this product. Like any other product, Flora Sinus Nutri-Health also has some negative reviews. One user suffered from Candida as well as chronic sinus for years. He bought Flora Sinus in the hope to help in his sinus problems but nothing worked for two months and finally gave up the product stating it as total waste of money. Another user says, he suffered from sinus problems in winter and bought this product in a hope to offer some relief, but there was no change in his condition and had to consult doctor for other sure. Some customers bought the product because of the product description and content details. However, they found these details too good to be true as it didn’t work for them as expected. Some review states that for people with prolong acute sinus, this product may had not work. Flora Sinus Nutri-Health have a diverse reviews, it had helped many customer in relieving congestion, whereas some found it not much efficient may be because their condition was chronic or otherwise. On an average Flora Sinus receives 3.5 stars out of 5 from its user reviews. Inspite of that, many users recommend this product to help sinus mucus. 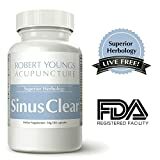 All products including Sinus support have both positive and negative reviews. Most of the reviews from the real users found it as a high quality product which they would buy again. One user review states he had been taking allegra-D for years, nasal sprays and deviated septum surgery and had used tons of herbal remedies, essential oils and many other items. However, Sinus support was found by them as the first herbal remedy that really worked. He took two pills 3 times a day and at times 4 times but this natural supplement has been more than effective than all the others combined. 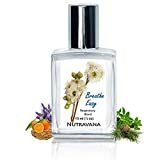 Fungus Stop, Natural Anti-fungal Nail Solution – Kills Toenail & Fingernail Fungus, Restores Discolored & Damaged Nails to a Healthy Appearance, Safe & Professional Remedy (30ml). Sinus support is an excellent allergy control without which many users found to pass through the fall. For many fall is the allergy season, and without this product they would had found it really difficult to live. The discomfort during the allergy season and air conditioning season was reduced with the use of Sinus support. The product worked as anticipated as well as assisted in tracking the progress from it. When taken as directed users found to get rid of all sinus problems or headaches during mornings. Sinus support user reviews states of having no side effect. This original medicine is safe to be taken all year round without side effect. There are also some negative reviews of the Sinus support. Some users do not want to recommend this product as it didn’t met their expectation and other product worked better than this. One user bought the product on the suggestion of a friend but this herbal remedy didn’t worked and instead making his stomach upset. 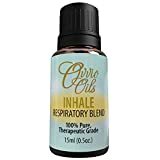 However, most of the reviews from users’ are positive regarding Sinus support and is extremely recommended natural remedy to help in sinus problems.